August 2019 Art Workshops: 3 summer workshops allowing you the chance to fully learn and explore a variety of art materials in-depth. Discover top-tips in how to get the most from charcoal, drawing inks, soluble pencil crayons and a whole lot more. Join us this August in our sun-filled studio for a fun-filled series of summer art workshops. It’s an art experience you will benefit from for a long time afterwards. Manchester is an inspirational city: Stay a while longer in Manchester and discover how much creativity the city has to offer. Great for Beginners, improvers and intermediate artists – everyone is made welcome. August – Summer 2019: This course is designed to help beginners learn and develop their creative drawing skills, as well as those with some experience of drawing who wish to improve their skills further. Learn further skills to improve your drawing methodology; strengthen your composition skills; enhance your observational skills; and free up your creative flow. The creative drawing and mixed media projects will explore the use of pencil; pen and wash; and a very versatile and creative mixed media painting technique. Journey towards unlocking your creative potential. Take the next steps to establishing confident drawing, mixed media and creative skills. 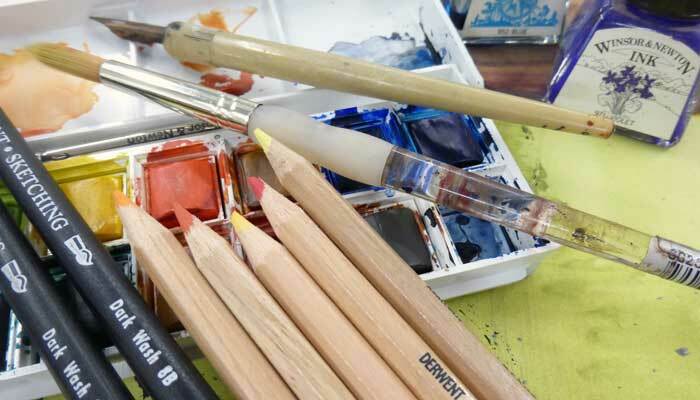 August – Summer 2019: This course introducing you to using water-soluble drawing materials offer students the opportunity to discover the excitement of working at the cross roads of drawing and painting. Discovery and unpredictability are often part and parcel of these water-soluble art materials, although learning and practicing technique will give you greater control and precision. 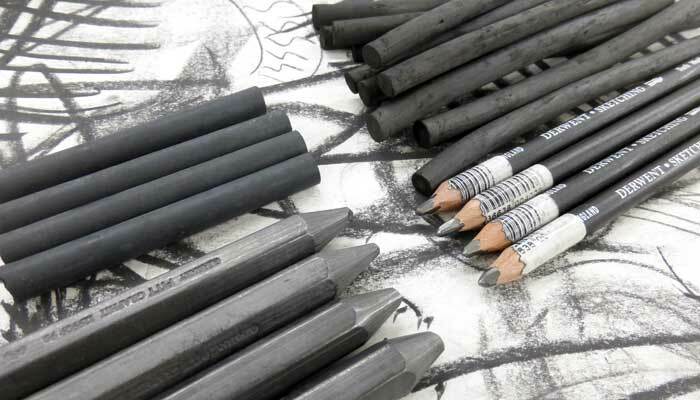 August – Summer 2019: Discover the freedom of drawing with willow charcoal, the emotive power of compressed charcoal, the joy of gestural mark making with graphite, and the closely observed details you can achieve when drawing in pencil. 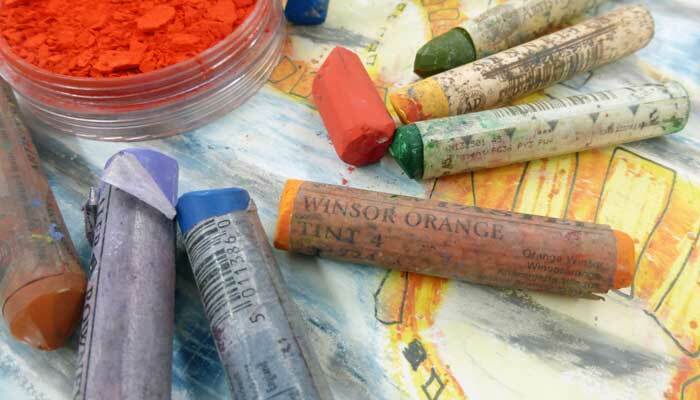 August – Summer 2019: We will be learning the art of using pastel painting materials which include soft pastels and oil pastels. Discover the variety of creative ways you can use pastels in both dry and soluble form which gives you a broad range of styles to work in. Pastel painting allows you to achieve stunning results almost immediately – so join us and dive into a world of colour and texture that allows you tremendous creative freedom. Perfect for all students who wish to learn about the expressive qualities and stunning colours of soft chalk and oil pastels.